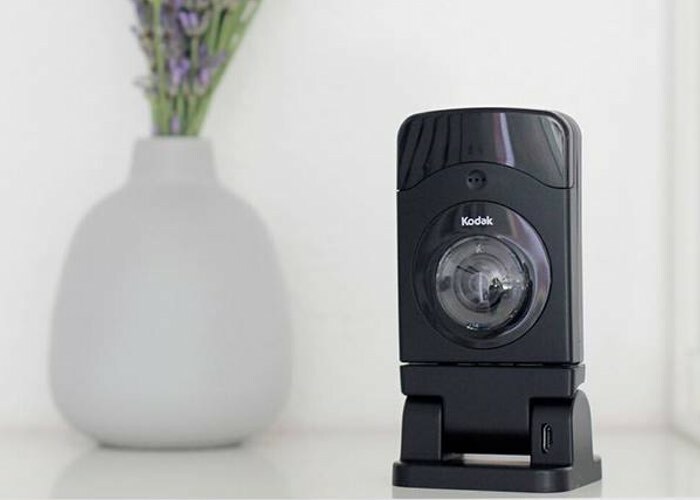 Kodak has announced the launch of their new video monitor in the form of the Kodak V20 which has been designed to provide competition to Google’s Nest security camera that was previously known as Dropcam. The Kodak V20 is a detachable USB video camera that can be used for home security applications and provides an ultra wide 180 degree field of view with a Wide Dynamic Range (WDR). The Kodak CFH-V20 offers unrivaled portability and performance. Check in on your pets or loved ones with smooth HD streaming video, crisp two-way audio, and automatic night vision via the free iSecurity+ app (iOS, Android) for your smartphone or tablet device. Motion-triggered notifications are automatically sent to your mobile device for real-time alerts. The state-of-the-art low lux CMOS imaging sensor with cutting edge IR filters offers exceptional daylight images with vibrant colors and powerful night vision performance. A built-in Wi-Fi extender also expands your existing wireless home network coverage to boost your connection. Whether you’re at a friend’s, at work, or on vacation, you can view what matters most to you within seconds. Jump over to the Kodak website for more details and full specifications as well as a full list of all retailers both online and on the high street that will be stocking the new camera.